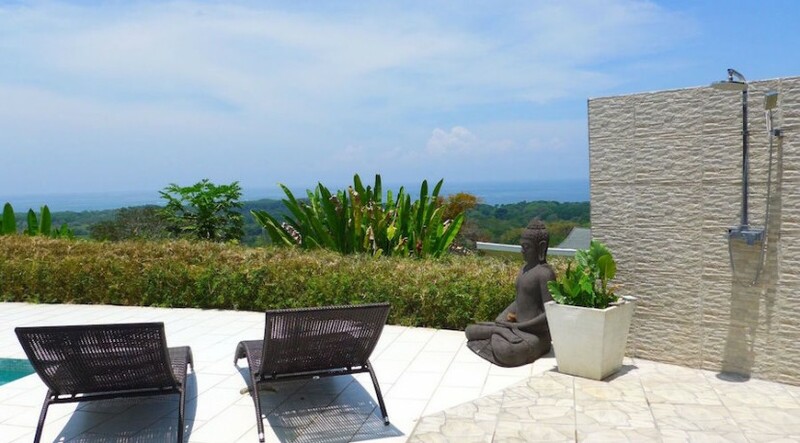 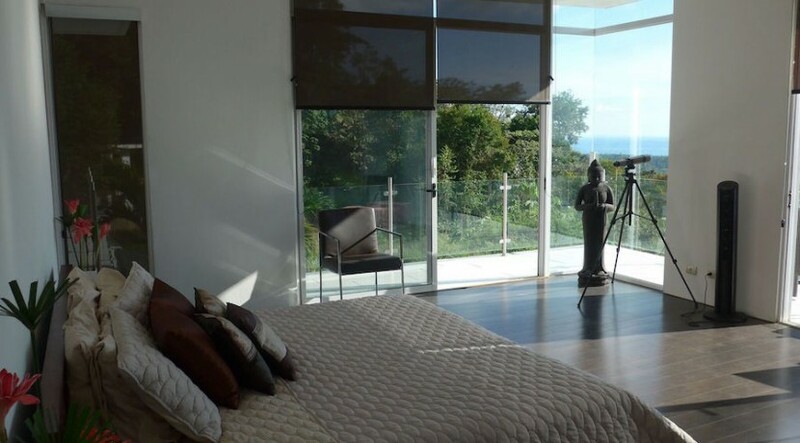 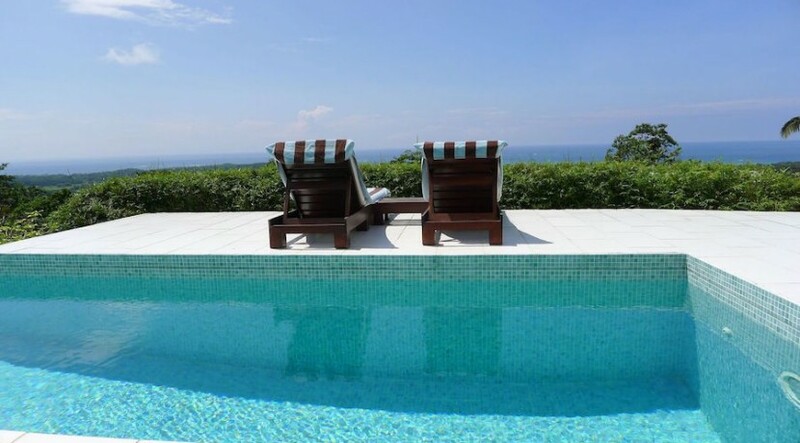 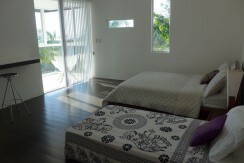 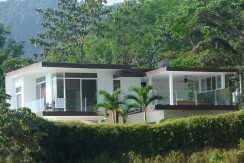 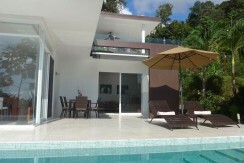 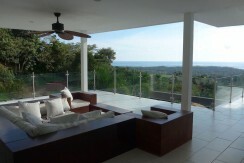 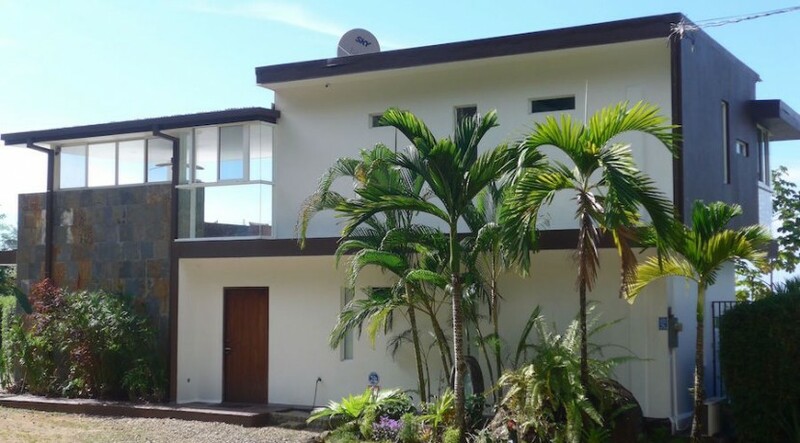 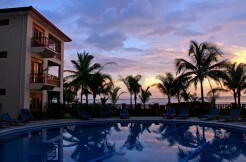 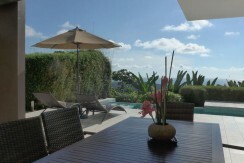 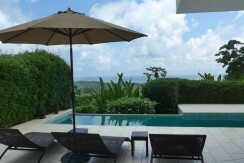 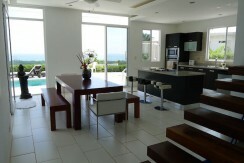 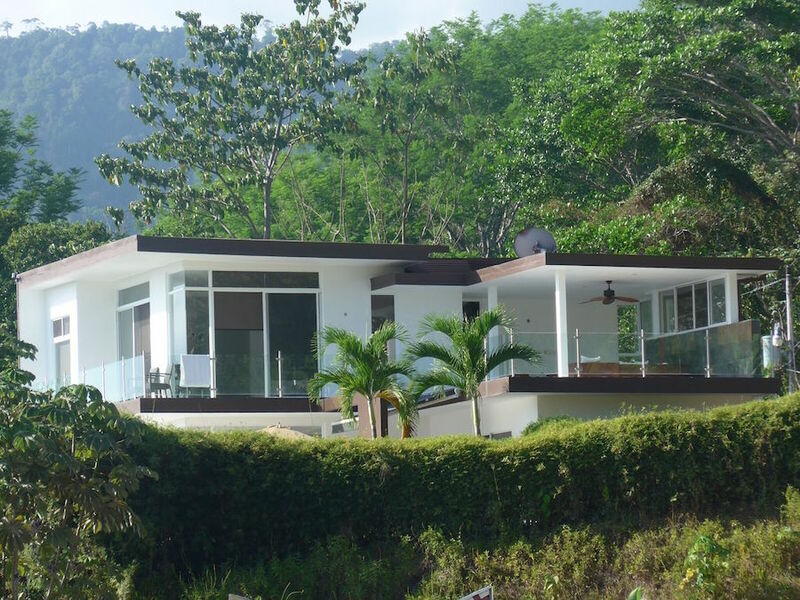 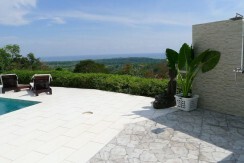 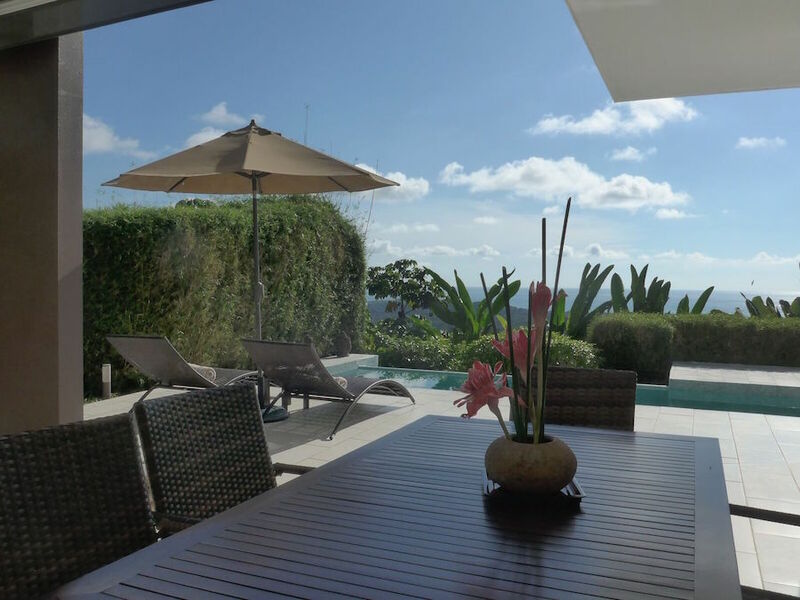 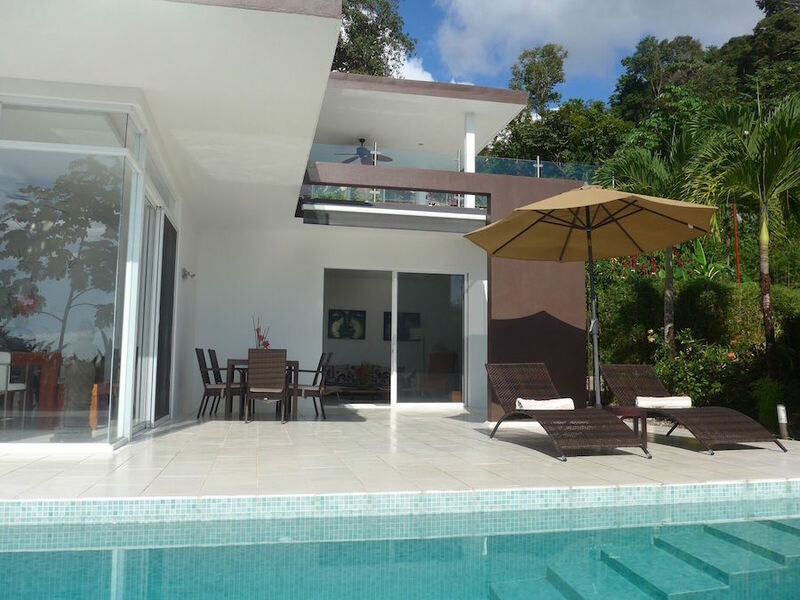 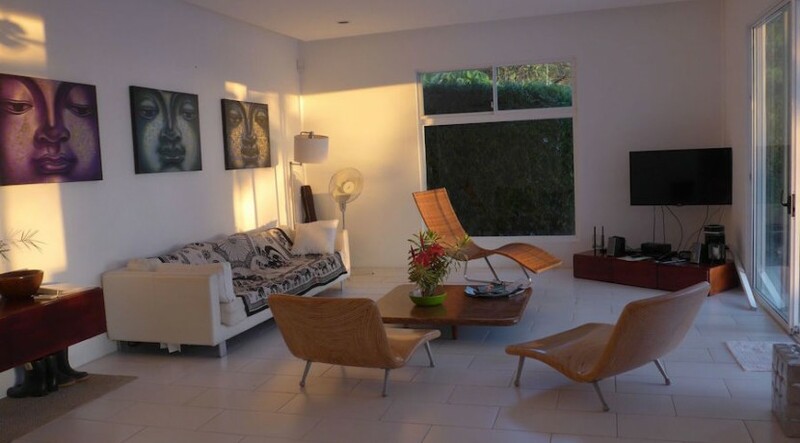 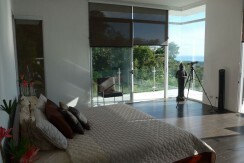 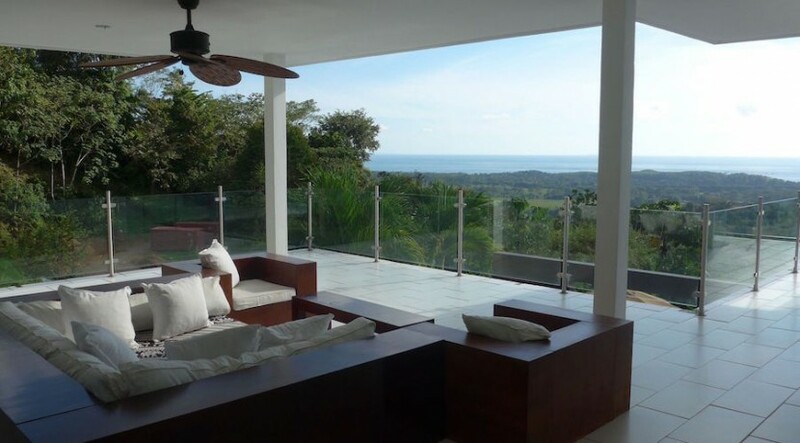 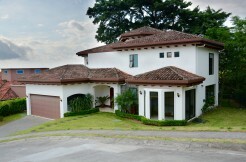 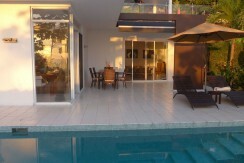 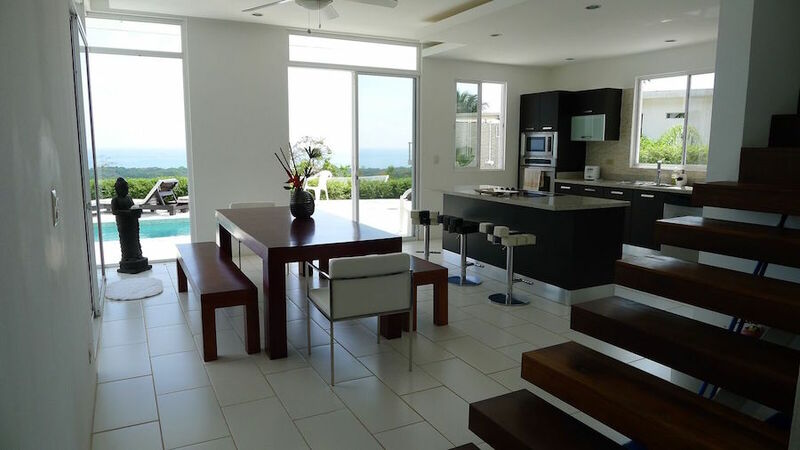 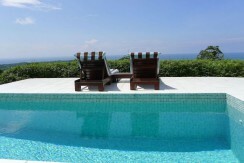 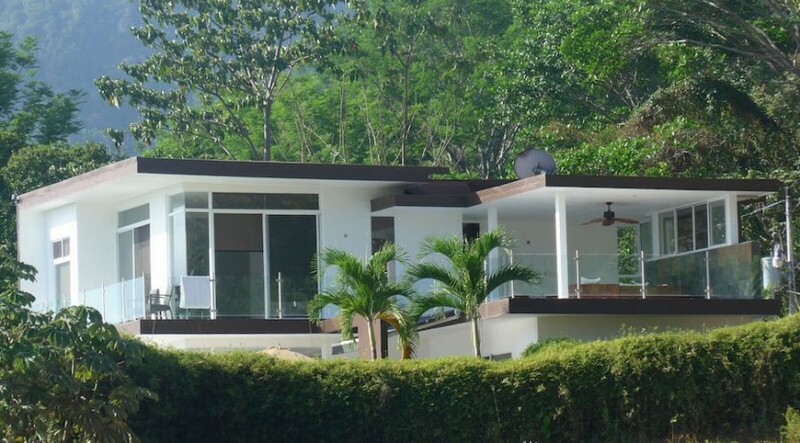 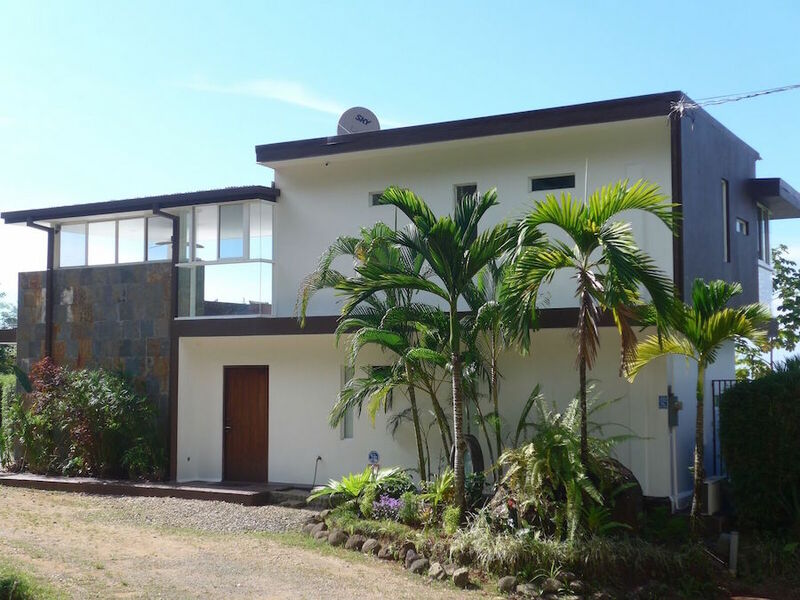 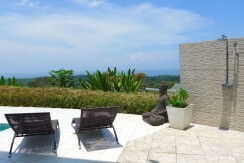 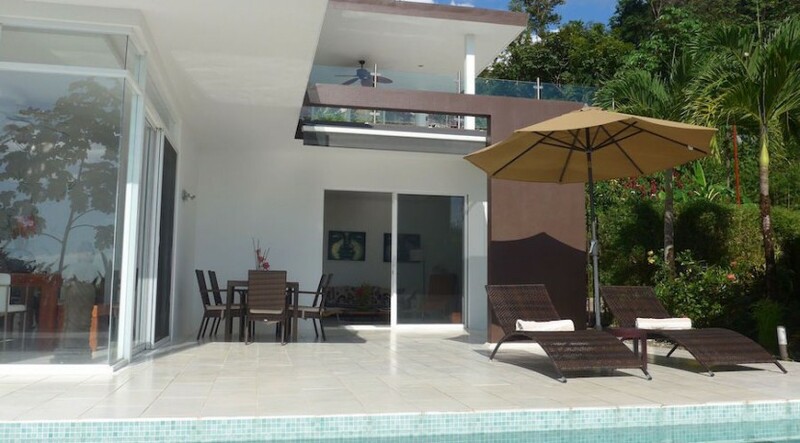 Located under five minutes from Playa Hermosa and overlooking the famous “Whale’s Tail” reef in Ballena National Park, This Villa is a tremendous and unique offering which combines very convenient access, stunning natural beauty and amazing ocean views with a design and attention to detail rarely seen in our market. 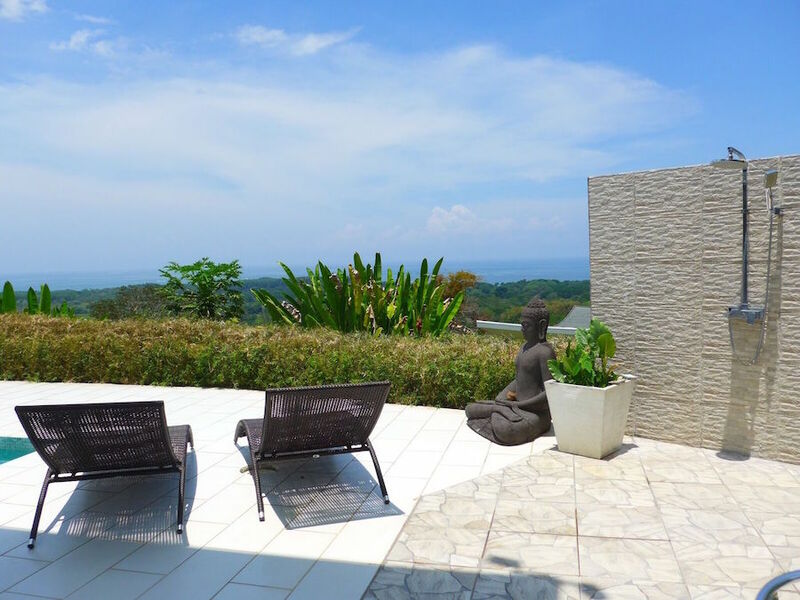 From the villa’s main entrance your gaze goes across the living room and kitchen areas, out over the patio and infinity pool, and out beyond your personal oasis to the big blue Pacific Ocean. 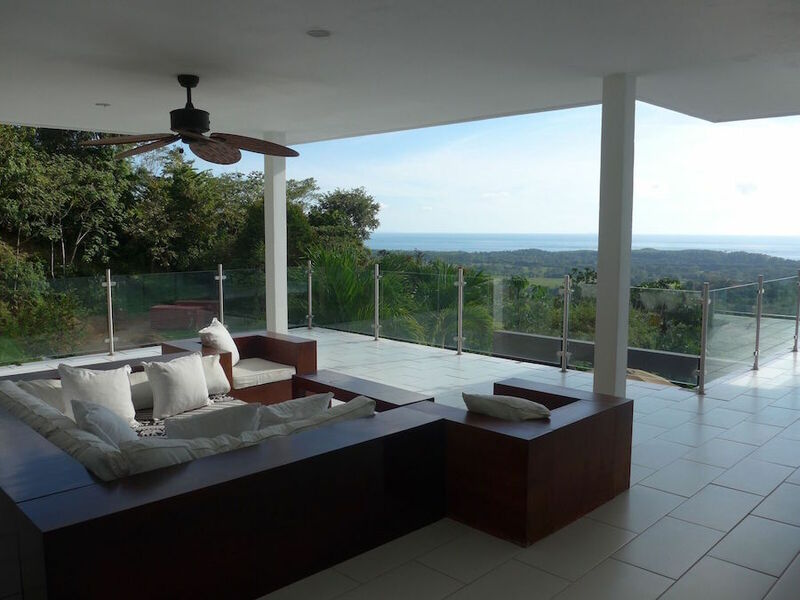 While contemporary in design, architecturally a design we call tropical contemporary, the large windows and sliding doors in the home accentuate the beautiful views from the property. 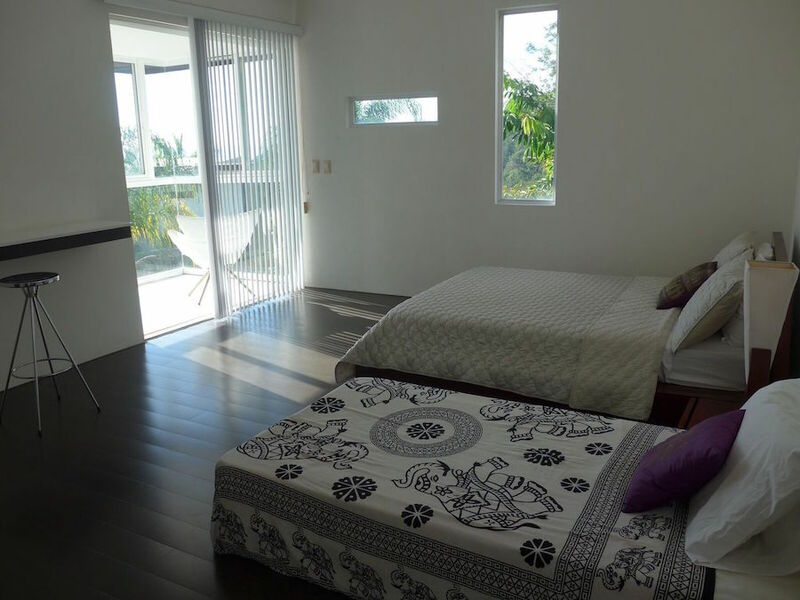 Slate floors, wooden stairs coupled with natural hues and colors resulting in a blend of casual elegance and comfortable luxury. 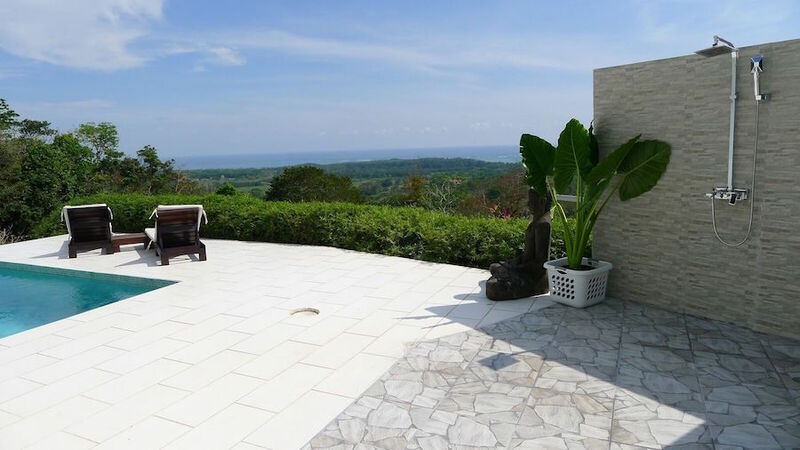 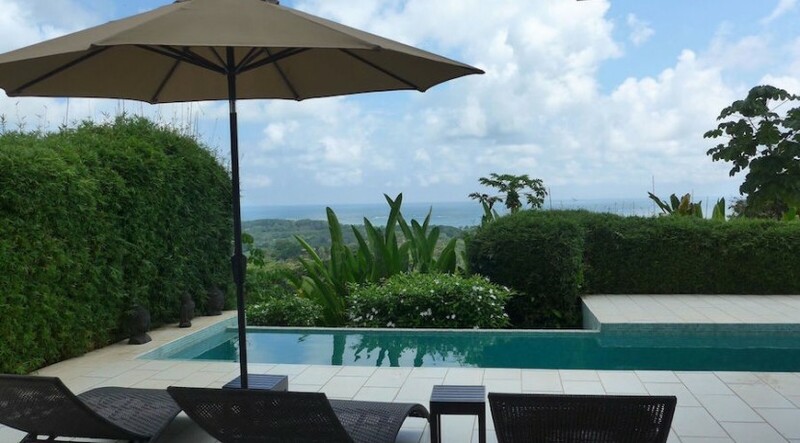 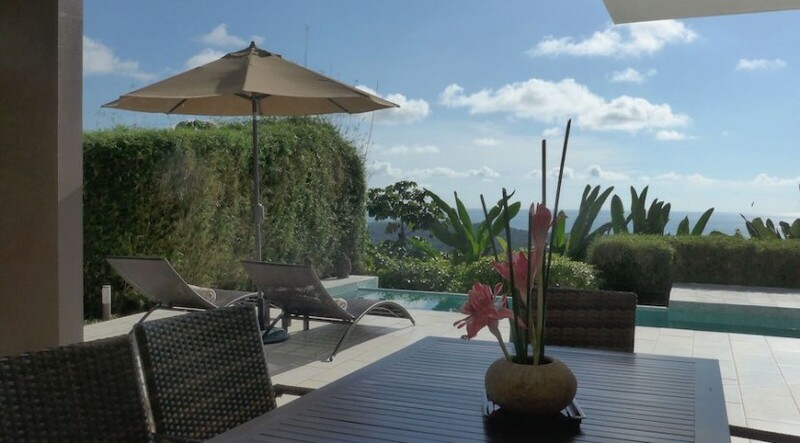 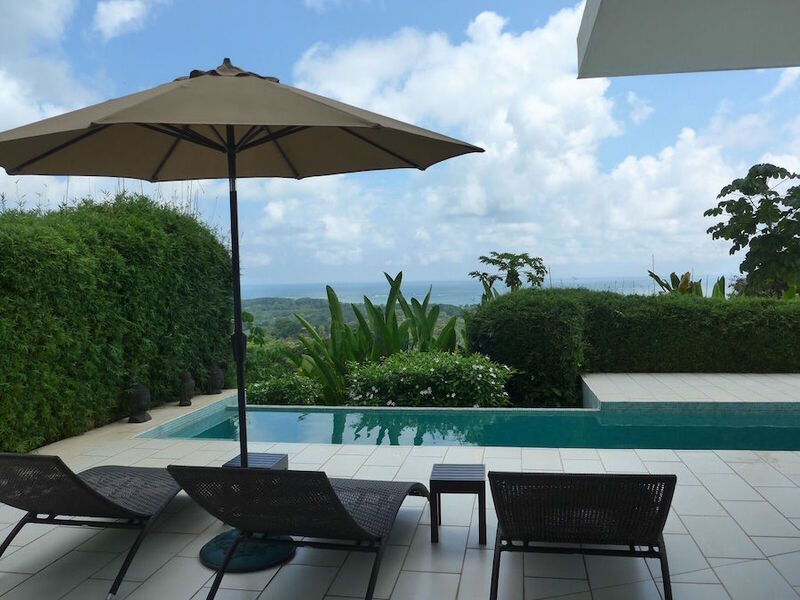 The three bedroom and three bath en suite configuration of the villa provides privacy for all of its guests and provides each with the opportunity to marvel at the pacific ocean and rainforest views surrounding this area. 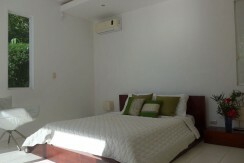 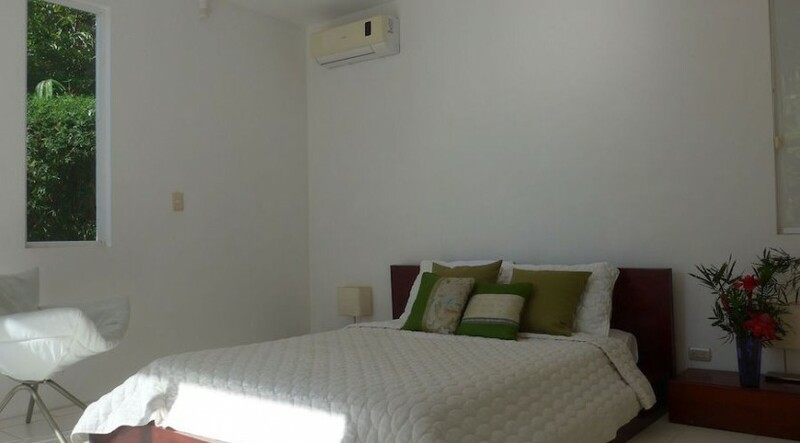 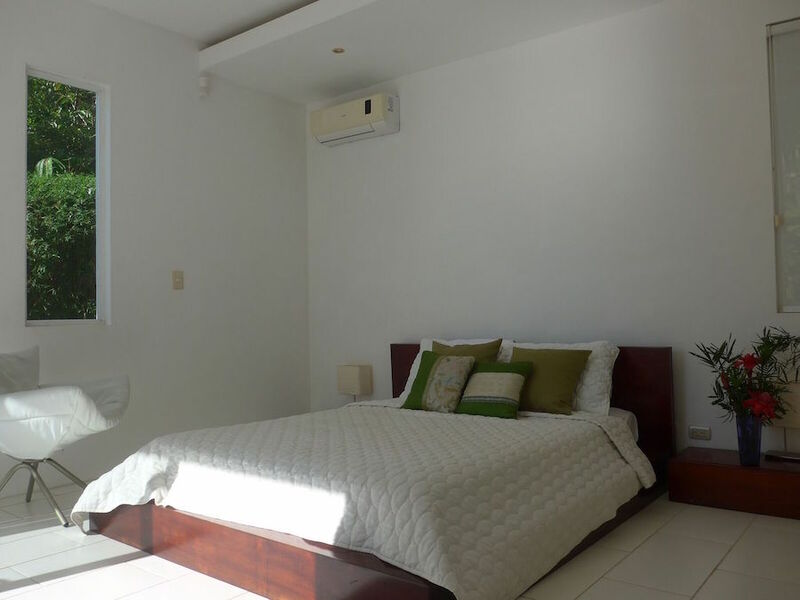 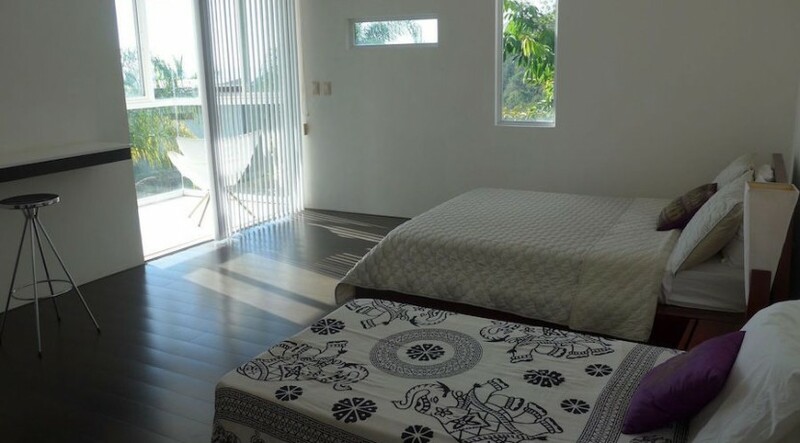 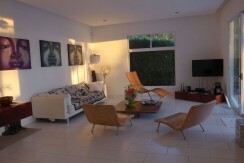 The lower level bedroom affords proximity to the living areas and also has a direct access to an outdoor shower and garden patio leading to the pool terrace. 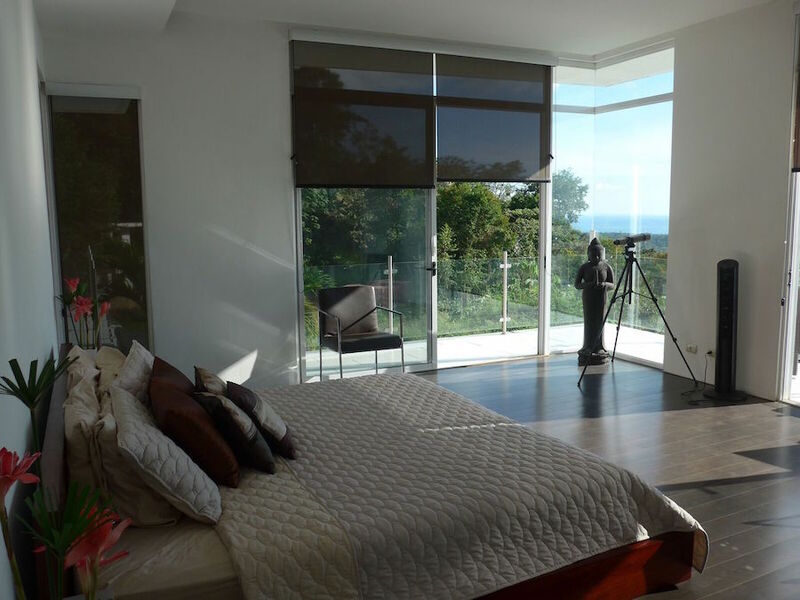 The second floor houses the principal master bedroom and second master bedroom, both with stunning views, en suite baths and direct access to an open air living space which is covered, yet open to the breezes that consistently wisp through the property. 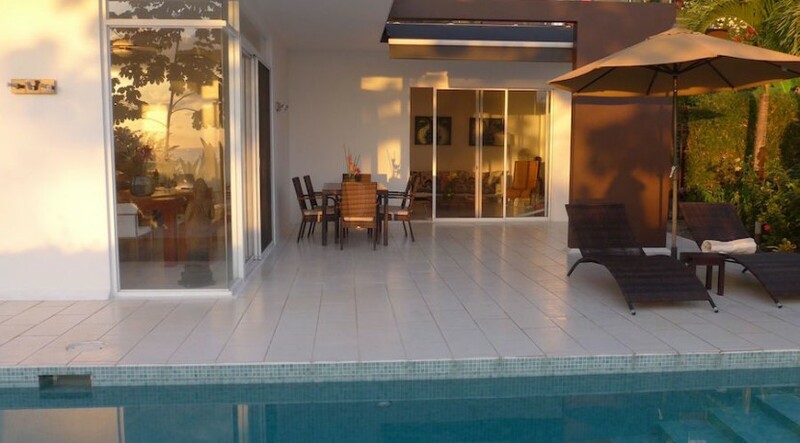 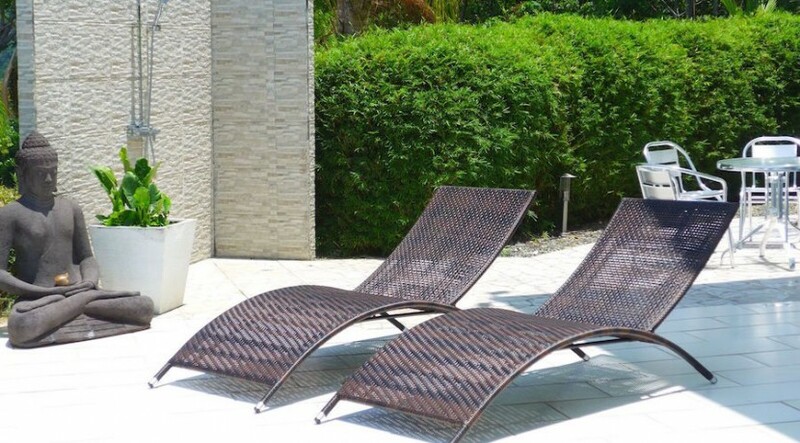 EVERY DETAIL you can imagine has been closely attended to including the beautiful terraces which surround the property, stainless steel balcony railings and fully equipped kitchen which opens to the pool terrace and outdoor living area. 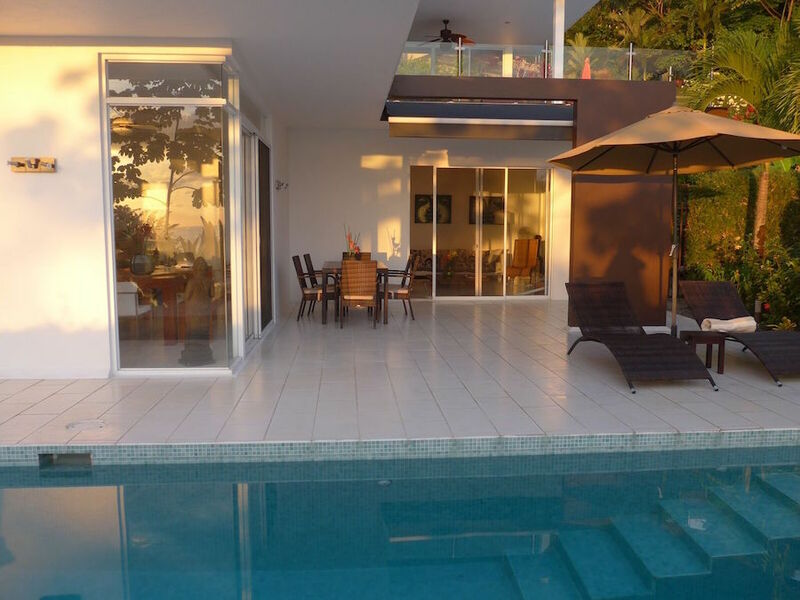 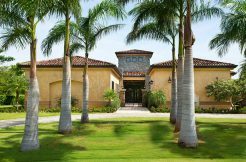 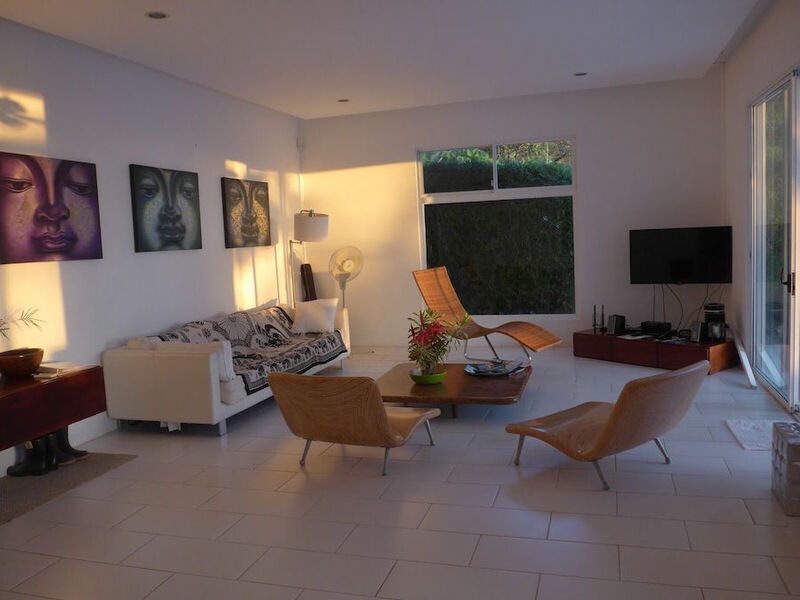 The house also has its own very tasteful and professional website for vacation rental management, high speed internet, cable TV, and security system. 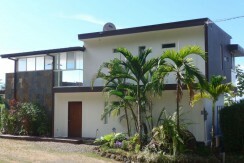 Recent $50k Price Drop – Motivated Seller.